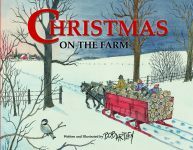 Master storyteller Coleen Salley narrates two timeless family Christmas tales for audiences of all ages in this cassette. 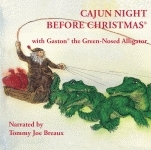 Side One contains Cajun Night Before Christmas, the Cajun version of the Clement C. Moore classic. 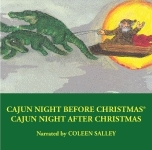 On side two, Ms. Salley tells what happens next, in Cajun Night After Christmas, a story written by Jenny Jackson Moss and Amy Jackson Dixon about St. Nick, an alligator named Pierre, and the Boudreau family once the holiday is over. Audiocassette.